...why is Reg Cooper Square being sprayed with Glyfos, a non-selective herbicide that controls grasses and weeds? Obviously there is some danger to humans from this product, since the "Warning - Pesticide Use" signs have been placed around the perimeter. As the "pest" is only vegetation growing between the flagstones, couldn't the weed cutters be used as usual? 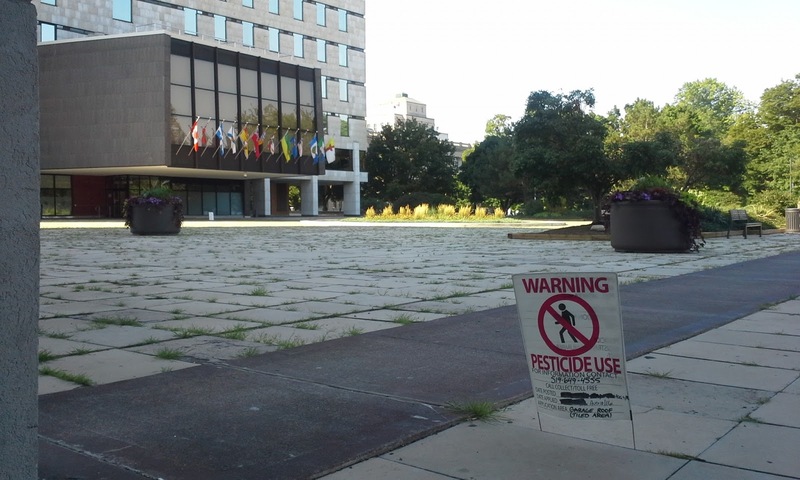 Is the pesticide use thought to be safe because it's on top of an underground parking garage, not a lawn?